Entrepreneurs in Residence (EIR) program is designed for new entrepreneurs or founders-to-be to involved in the venture ecosystem before his/her startup takes off or expands, or while they are exploring what to do next between companies. EIRs should have strong interest in being at the top of the cutting-edge innovation, as well as a desire to help and engage companies in the sector(s) where they have expertise and experience. Candidate should have strong passion to be an active participant in venture ecosystem, including networking with investors and founders, and be willing to devote their time to be involved with F50, and should have expertise in at least one of the sectors in which F50 is active. A minimum of six-month commitment is required for EIR. Investor in Residence (IIR) program (Similar to Venture Partner) is designed for founders with financial success or new investors with financial capability who would like to become professional investors in the future. A minimum of a one-year commitment is required for IIR. Prior or current successful experience of raising Venture Capital money is required. We also strongly prefer the founders of the startups who are venture fund-able and already received seed / angel investment, more the better. 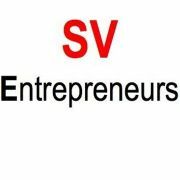 Previously successfully founded one or more venture backed startup companies in the past, or has senior-level experience in a very successful company, or started in the investment business in a junior role or in a part-time position. We are looking for a minimum commitment of 5+ hours per week. 10+ hours are needed during the peak time of different programs. Additionally, please note that this is an independent contractor position without base pay. Incentives will be in the form of equity, bonus, and carry after fulfillment of 6 month commitments. If you are not eligible for EIR or IIR program, you can apply to be a volunteer for F50’s DeepTech Summit / Global Capital Summit the event, as well as in advance. Please state your availability and email join@f50.io with “ Summit Volunteer” in the subject line.